The idea is that the class guesses the answers their partner will give to certain questions; from this the class can get to know a little about each other. With a little thought it can work well with all ages from young children to adult business people. First off, elicit from your class a series of questions‏‎ they could ask each other. These should be of an appropriate level and content to the class. Do you have a bicycle and, if so, what color is it? The next step is to introduce the class to Sherlock Holmes. Many students will already know the name, but for those who don’t explain how he is a fictional detective who would notice the smallest details of a person and from those details be able to tell everything about that person. To demonstrate this, choose a student at random and tell them that they must remain silent while you “read” them. Do you have any brothers or sisters? Well, Maria, I look at you and see that you are quite a strong person. You look very determined so I think you have one – no, maybe two, younger brothers who you have to keep in check. Of course, feel free to ham it up here! Then ask the student and see if you are right or not and play with the responses! Get the class into pairs and make sure that the students in each pair don’t know each other. The first student can then ask the second student 3 questions and must write down their answers – but the trick is that the second student does not speak at all! Do you have any brothers of sisters? – yes, two sisters, both older. Aha, you’re laughing so I think I’m right! What does your father do? – he’s a bus driver… no, a doctor? Hmm… Just a minute, I remember seeing you arrive in a really nice Mercedes this afternoon! I think he must be a rich businessman! When they’ve finished, they swap roles and do the same thing. Stress here that the person being asked the questions must not speak or respond to the questions at all! Finally, get the class back together and have the pairs come up to the front. The first student introduces their partner with the questions and their guesses at which point the second student can say if they are right or wrong. 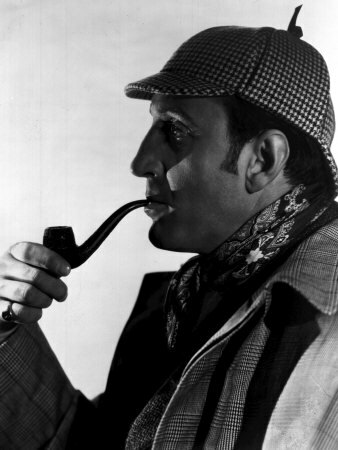 The person who guessed most correctly about their partner is Sherlock Holmes for the day!